We supply plumbing services to your house or new construction site. We have all the tools and knowledge to complete your project. We are also happy to design and construct your plumbing project to suit your needs. All our work is guaranteed. 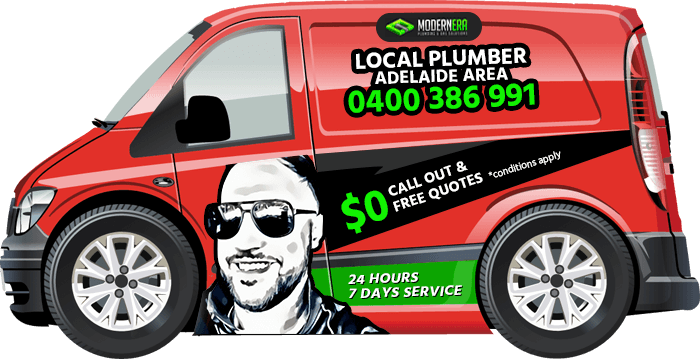 Our plumbers and gas fitters have years of experiences and are fully trained and registered. Modern Era Plumbing and Gas Solutions is proud to supply many commercial and industrial customers with maintenance services to keep your assets going 24/7. Whether you are a factory, winery, school, shopping centre, aged care facility, or hospital we can provide short or long term maintenance programs to keep your workplace compliant and hassle-free. Backflow prevention services are required in both commercial and domestic sites. These devices are used to eliminate the chance of cross connection of water supply. We can assess your situation, recommended and install the device you require, test and certify the device, then service the device when required. Once you accept our quote we design your system and submit it to your local council for approval. We then arrange an install date for you system. Our company also supplies the service of annual testing of your backflow device by our qualified plumber. In compliance with clause 2.2 of AS 2845.3, the Office of the Technical Regulator specifies the test report format required in South Australia. The Commission, inspection and maintenance report is the only form that will be accepted. the licence number quoted is a Plumbers, Gas Fitters and Electricians (PGE) number, not a Building (BLD) licence number. If mandatory information is not included in the report, it will be returned to the plumber as incomplete and the plumber will be required to return a completed report to the Office of the Technical Regulator within seven days. Modern Era Plumbing and Gas Solutions are the gas safety experts and our professional plumbers are the qualified experts in every aspect of gas fitting, particularly in installation and repairs. Our friendly staff are fully qualified gas safety specialists, and can cater for all your gas fitting needs. A suspected or confirmed gas leak is a major problem, and requires immediate attention from a qualified gas technician. We take any suspected gas leak seriously, no matter how big or small the problem. We service, install and repair all makes and models of hot water services. Solar Hot water services are a very popular style of hot water services and are available with stainless steel cylinders for larger life with vitreous enamel coated steel cylinders. The solar panels come in several different styles with different warranty options. Heat pumps are also popular due to the low running costs. Heat pumps have a refrigeration unit on the heater that absorbs the heat out of the atmosphere and uses it to heat the water – eliminating the use of an electrical element to heat the water. With Heat pumps you will never run out of hot water again. Both Solar Hot water services and heat pumps qualify for state and federal rebates. We will install your hot water service for you, then help you to claim any rebates you are eligible for. Continuous flow and storage hot water services are an option if you have gas available. These are available with a five star rating so they comply with the current government regulations and also have a low running cost. The continuous flow gas hot water services can be installed with control panels in your house so you can select the temperature of the water you wish to use and only use the hot tap. No more mixing with the cold water tap to get the perfect temperature you like. A bath filling setting is also available so the hot water turns off automatically once your bath is full of water. Gas hot water services can be used to boost your supply when fitted to your solar hot water service, for high demand situations or on days of low solar gain. Whatever your hot water service needs are we can help you in either domestic or commercial situations. We have the latest technology in hydrojet drain cleaning machines. Our trailer mounted unit uses 5000kpa of water pressure to propel itself through the drains to locate your problem. Different nozzles can fitted to the end of the machine to cope with different situations. These can be used to not only cut any roots blocking the drain, but also pressure cleaning the inside of the pipe. Our hydro-jet drain cleaning machine can trail up to 150 meters in any size drain, stormwater, sewer or water pipes. Bathroom and kitchens can become a bit old and tired, showers begin to leak, paint pealing, timber rotting away or tiles falling off the wall. Why not check out the Reece website where you can figure out the dimensions of your bathroom and design your own renovations. We can then arrange the plumbing for your bathroom renovation project.